Decap Drums That Knock Vol. 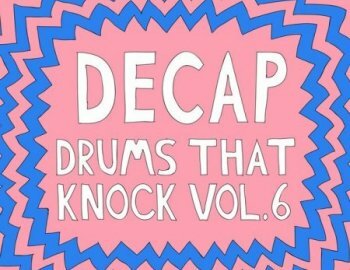 6 is the 6th response to producers asking Decap how he got his drums to "knock so hard". We reached out to Decap to get distribution rights to the Drums That Knock Samples. These come highly recommended and are perfect for cross genre production (think EDM, contemporary boom bap, trap, etc. ).